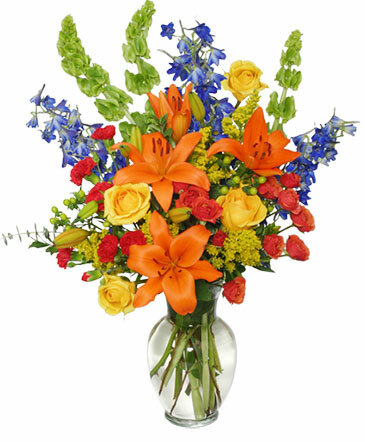 These vibrant fall flowers from FLOWERS ON VINE will make any occasion special and memorable. Show loved ones how glad you are to have them in your life with our Awe-Inspiring Autumn arrangement. Order flowers online or call our shop today! Call FLOWERS ON VINE and send flowers with feelings that come straight from the heart. Make someone's day more memorable with this charming basket of pink lilies, roses, alstroemeria, carnations and freesia.